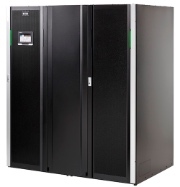 Eaton 93PM UPS is an all-in-one solution that maximizes uptime of your critical processes and at the same time helps you combat ever increasing costs of energy. Industry-leading efficiency exceeds 96% in double conversion mode and reaches top 99% with Eaton’s ESS technology. Together with world-class intelligent software solutions for monitoring and management, Eaton 93PM is the surest way to secure the continuity of your mission critical applications. On-line double conversion topology keeps critical load equipment protected against all common power problems. Its modern multilevel converter technology ensures that the Eaton 93PM UPS operating efficiency is top-of-market 96.7% resulting in significant savings in operational costs. 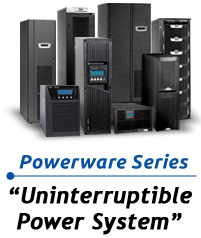 The Eaton 93PM UPS is a high power density solution. With a footprint of just 0,5 m2, it can provide full rated power and 10-20min runtime with internal batteries. Unique charging algorithm prolongs battery service life significantly compared to traditional charging methods. Automatic battery tests ensure any defects on batteries are detected and failed blocks replaced on time. Battery health data is available for viewing easily through the display. Being able to monitor the condition of batteries and history log of test data, system maintenance can be better planned and scheduled ahead. The Eaton 93PM UPS is designed for the most advanced IT environments, and it comes with interfaces for Web and SNMP as standard.